President Obama’s foreign policy is confused and distracted, says Parag Khanna, but the solution is greater engagement in helping Southeast Asia and Africa defend their own interests. Imagine you are the desk officer handling the U.S. in the foreign ministry of China, Brazil, India, Turkey or any other rising power. What impression would you have of America’s foreign policy in the two years since Obama was elected? Most obviously, Obama’s personal charisma has failed as a geopolitical force. Relations with China are tenser than ever, Iran continues ahead with its nuclear program, and Iraq and Afghanistan both remain a mess. But beyond assessing the president himself, you would look for consistency in American policy. Here you’d report to your superiors that America is on the fence about free trade as it weighs various protectionist measures, it isn’t so sure about democracy anymore as it yet again has given Egyptian President Hosni Mubarak a pass on another sham election, and it hasn’t really changed its tune on the Israeli-Palestinian conflict. All in all, you might report, not only is Obama on the rocks as the next presidential campaign already gets under way, but America itself is fundamentally unreliable as a power—no more predictable than any other great power governed more by parochial politics than national interests. Whether or not America is reliable as a diplomatic leader is integral to whether it is actually in decline or not, for perception is a very important component of reality. Grand strategists love to talk about forward engagement or offshore balancing—terms which go over well in Pentagon briefings but come across as conspiracy theories everywhere else in the world. Let’s go back to Machiavelli’s famous dictum that it is better to be feared than loved. Here is what Machiavelli’s balance sheet on today’s great powers would read: America is both less feared and loved than a decade ago before Bush took office, Europe is increasingly loved and decreasingly feared as more countries join the EU, and China is both increasingly loved and feared as its magnetic but overwhelming power grows. Others such as Russia, Brazil, India, Turkey, and Saudi Arabia are increasingly important and opportunistic, seeking to assuage fears and build trust wherever they can to gain a strategic foothold at others’ expense. If America is not dependable in terms of its values, priorities, and policies, then it creates opportunities for others to fill the global leadership gap. There is very little in Obama’s vision for the coming years, whether the State Department’s Quadrennial Diplomacy and Development Review (QDDR) or its recent Afghanistan-Pakistan strategic review, that indicate anything beyond America continuing to muddle through—and the rest of the world already knows this. America has learned the hard way that what others want for their future is more important than what America wants, period. Iraqis want American troops out and are cutting deals as far as Brussels and Beijing. Afghanistan will remain a land-locked backwater for years to come, and what little gratitude there is to America won’t matter strategically. Clearly the grand strategies of dominance, providing stability and order, and other clichés have failed and no one believes them anymore except those who don’t travel outside the U.S. enough. There is therefore just one principle left that America can embody in a world where every country is out for itself: helping others help themselves. This is what America’s post-World War II strategies achieved in Europe and Japan, ultimately making them self-sufficient powers and to this day America’s only genuine allies in the world. The same can now happen in Africa, where the Africa Growth and Opportunity Act (AGOA), begun under the Bush administration, slashed tariffs on African exports and boosted spending on programs to counter AIDS. America is heavily invested in developing Africa’s energy infrastructure as well—the continent may soon provide more oil to the U.S. than the Middle East. The way to embed this grand strategy of self-reliance is to focus on regional institution building, encouraging countries to engage with their neighbors the way Europe has done through the EU. Obama has made relations with ASEAN a priority, but he needs to follow through to help Southeast Asian nations collectively negotiate better with China, manage their natural resources, and maintain regional stability. The U.S. can also provide more backing for the African Union, whose troops are already on the front lines in Somalia and Darfur. Neither America nor NATO need to intervene here—they need to assist Africans from behind in running their own continent. In the Middle East, decades of triple-games with Israel, Arabs, and Iran have gotten us nothing but a nuclear crisis. Why not force them all around the same table into a Gulf Security Conference? Several countries have proposed this year after year, but American support has been absent. Yet if we help make it happen, many in the region will thank us—and they will all only have themselves, rather than America, to blame if they fail. Grand strategists love to talk about forward engagement or offshore balancing—terms which go over well in Pentagon briefings but come across as conspiracy theories everywhere else in the world. As America faces up to its fiscal crises at home and diminished reputation in the world, this kind of self-interested generosity is both the most necessary and the most innovative course to pursue. It is more than strategy, it is statesmanship. 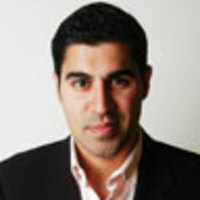 Parag Khanna is a Senior Research Fellow in the American Strategy Program at the New America Foundation and author of the new book How to Run the World: Charting a Course to the Next Renaissance (Random House). He has written for the New York Times, Financial Times, Foreign Policy, and many other publications, and frequently appears on CNN, BBC, PBS, and NPR radio.